Fun in Nashville at Wynonna concerts, back to Palace Theatre, and Sippie’s growing! I had such an amazing time last week that I wanted to tell you all about it! I’ve been trying to spend more time in Nashville, because when I’m in “Music City”, I soak up all the energy that’s there. It’s a whole different vibe, and being in the heart of the songwriting community always inspires me. I went this time especially to see Wynonna in concert Wednesday night at 3rd & Lindsley, one of my favorite night spots. I’ve performed there several times, and I was really looking forward to seeing her there. Needless to say, she was absolutely awesome. So was her band. Her husband Cactus, played the drums and I couldn’t believe how great he was. He had a bad motorcycle accident less than a year ago and lost a leg. You sure couldn’t tell it by the way he plays. He’s amazing! 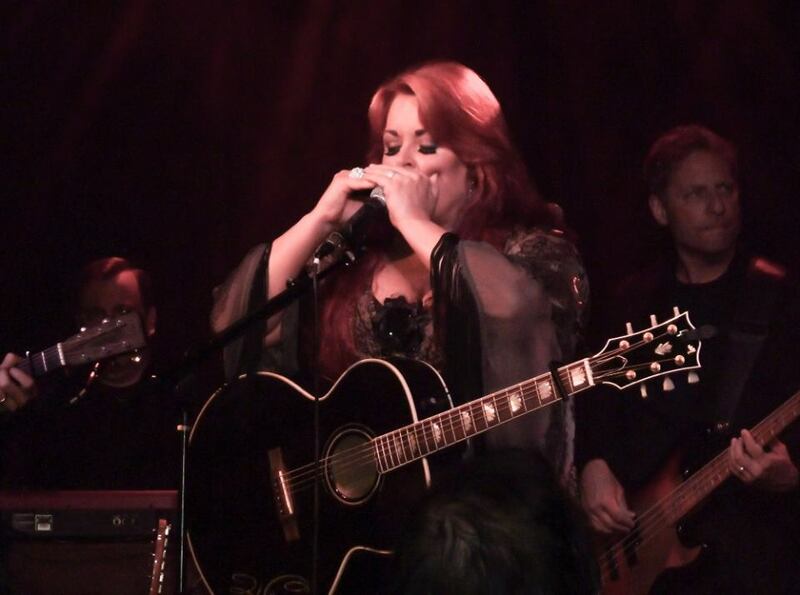 I’ve always known that Wynonna had the blues in her, and when she pulled out her harmonica and got down with it, I knew she did! I know she’s recording a new album and I’ve been writing with her in mind. I hope she has the chance to listen to my songs. Just when I didn’t think it could get any better, the crowd standing up front started screaming. They apparently saw someone coming from backstage, and the next thing I knew, Kree Harrison, from American Idol, was joining Wynonna on stage. They did two of my favorite songs – “Love is Alive” and “Grandpa”. It was incredible!! During the evening, I had the chance to meet Cactus, and their guitar player Justin Weaver, and Wynonna’s son Elijah. What a sweet, polite young man he is! We got a tweet around 3:00 that Wynonna was going to do a short acoustic set Puckett’s in Leipers Fork. That’s a quaint little rural community south of Nashville where I’ve gone several times to take pictures. The countryside is picturesque, and in so many ways it reminds me of where I live. I couldn’t believe that I had the chance to see Wynonna again, and an acoustic set at that! 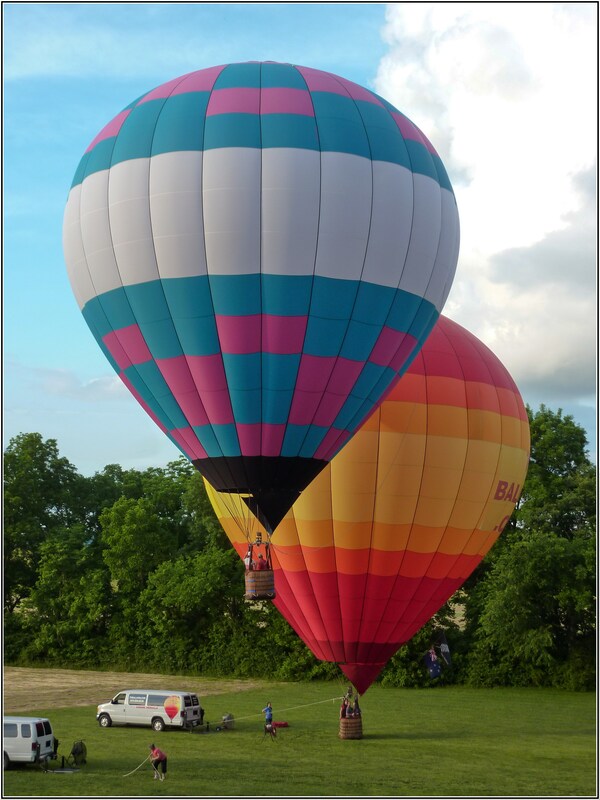 While waiting for Wynonna to arrive, I happened to step outside to take some pictures and found some people getting ready to go up in a couple of hot air balloons. They were so beautiful! When it was close to show time, I found Wynonna sitting outside on a bench. I had the chance to speak to her for a minute, and she was so gracious. I mentioned that I’d sent some of my songs to her husband Cactus and she said she’d look for them. I hope she likes them! 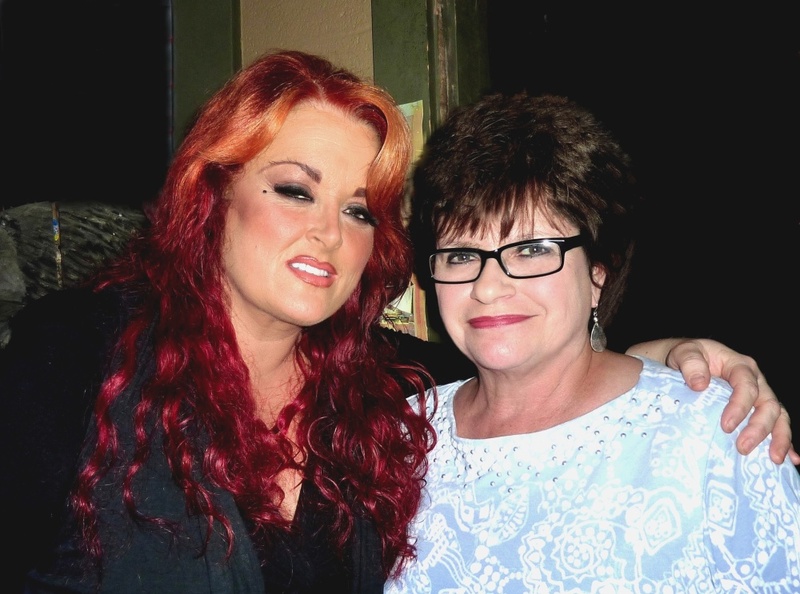 Before the show I finally got to meet Tami Olin, Wynonna’s longtime Personal Assistant. I’ve only spoken to her on the phone over the years, but she’s always been so gracious. It was great to finally meet her in person! When Wy took the stage, it was just her and her acoustic guitar, Justin on acoustic guitar, and Cactus on the “box”. He doesn’t need a full drum kit. He can beat on anything and make it sound good! It was so cool that I got to hear one of my all-time favorite country singers – two nights in a row! And if she and Cactus like some of my songs, and want to record them, that would be the icing on the cake! Friday I left Nashville and headed to Crossville for an encore performance at the Palace Theatre. I had a very attentive crowd, and we had a ball! I also did an interview, talking about how important the arts are for young people. 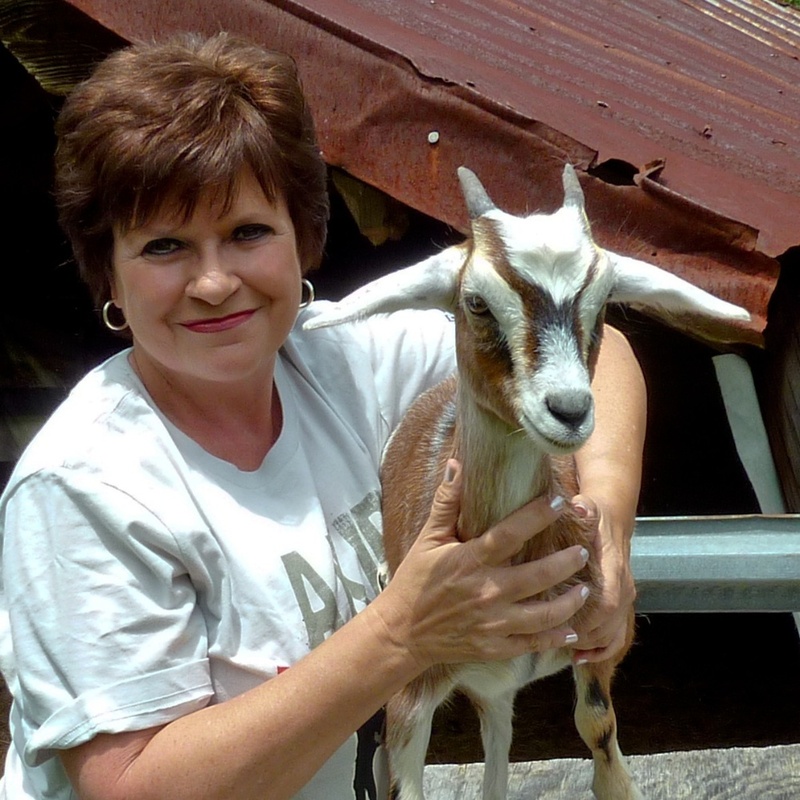 It was great to work for Debra Mendenhall again, and I appreciate all her efforts, and those of the Performing Arts Alliance of Rural Tennessee. I also appreciate your continued support of live music, and the arts in general. I was so touched Saturday morning, when I read some of the fan mail that was already coming in! Here are a few of them. I love it when people reach out to me letting me know that my music touched them. After all, they’re the reason I keep on doing it, traveling around, making music. My wife and I saw you last night at the Palace in Crossville TN. It was the second time we saw you, and we loved the show. You are an awesome entertainer and guitarist. You make that guitar sound like three guitars, and your bluesy voice is the best. Thanks for the great show, you worked real hard, and we appreciated it. Look forward to seeing you again some time. Best of health to you. Ciao. -BMac. I always love hearing from the fans, and I appreciate you taking time out of your day to come see me, and to let me know you liked the show! You all know how much I love my animals, and I just wanted you to see my little Sippie. She’s not a baby any more! She’s growing so fast. Look how big she is now! This coming weekend I’ll be performing at the Eureka Springs Blues Weekend. Then I’ll be back in east Tennessee, and Alabama, Ohio, and Florida. Just keep an eye on my schedule, which will always be current on this blog. You can always scroll to the bottom and just search for “schedule”. And come see me when you can! I’m always looking for music lovers in the crowd! Saw Linda Boose at Billtown Fest on Sunday and we were talking about you! Love reading your blog and seeing your photos! Real nice shot of you with Wynonna! We miss you in NE PA! I’m so happy for you that you got the opportunity, twice!, to see and hear Wynona. Of course she’ll love your songs. I can’t imagine it not happening. She definitely has the voice for the Blues. I am almost lost for words! You are on fire and it is no accident you ran into Wy on a bench. I know she will give those great songs a listen!